Chinua Achebe is considered the father of African literature in English, the writer who 'opened the magic casements of African fiction' for an international readership. Following the 50th anniversary of the publication of his ground-breaking Things Fall Apart, Everyman republish Achebe's first and most famous novel alongside No Longer at Ease and Arrow of God, under the collective title The African Trilogy. 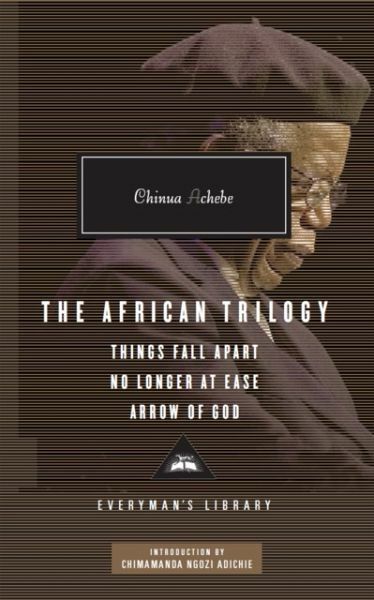 In Things Fall Apart the individual tragedy of Okonkwo, 'strong man' and tribal elder in the Nigeria of the 1890s is intertwined with the transformation of traditional Igbo society under the impact of Christianity and colonialism. In No Longer at Ease, Okonkwo's grandson, Obi, educated in England, returns to a civil-service job in colonial Lagos, only to clash with the ruling elite to which he now believes he belongs. Arrow of God is set in the 1920s and explores the conflict from the two points of view - often, but not always, opposing - ofEzuelu, an Igbo priest, and Captain Winterbottom, a British district officer. In spare and lucid prose,Achebe tellsa universal tale of personal and moral struggle in a changing world which continues to resonate in Africa today and has captured the imaginations of readers everywhere.